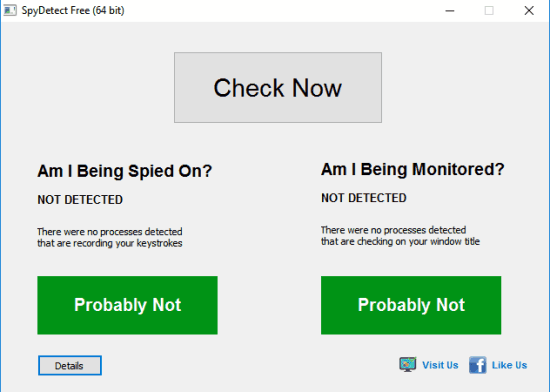 SpyDetect is a free software that has a very important purpose “Check if processes running on your PC are spying and monitoring you”. The software does so by detecting the processes that are recording your keystrokes and monitoring software. If the results are positive, it will alert you with Red color. The Green color indicates that you are safe. Although we have many good free antivirus, spyware software, and other security software, but it is also possible that there are some processes running in the background spying you without your knowledge. This software can help you clear the doubt up to an extent. Above screenshot shows that I am probably safe because neither there is any process spying nor monitoring on me. However, I won’t say it is a foolproof solution to check your security threat. 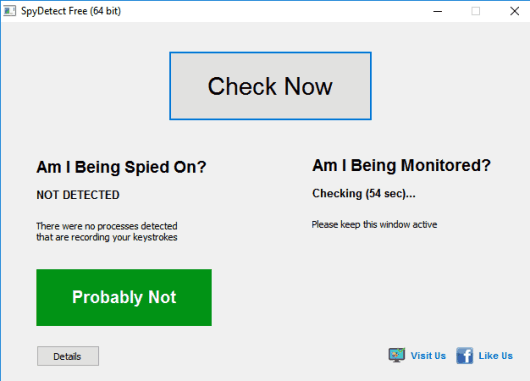 It is so because the software doesn’t detect any issue if you have installed some third-party key logger software. It only detects internal modules (system DLL files) and shows the result. Use this link to download the zip file of this software. Launch its portable application to open its user interface. The interface is really simple and there are only two main options: Am I Being Spied On? and Am I Being Monitored?. The simple way to find the answers is Check Now button. Tap that button and the software will start detecting if there are any process(es) that are recording or spying your keystrokes and monitoring your activities. You need to keep this window as your active window to complete the detection process. It will take around 1 min to generate both the results. If keystrokes are stored by processes, then it could be really dangerous. It is so because the processes can record your passwords, bank details info, etc. On the other hand, monitoring is less threatening, because monitoring doesn’t mean that your information is stolen by the processes. In case you want to check the list of attached modules that are used for detection process by this software, you can click on Details button. 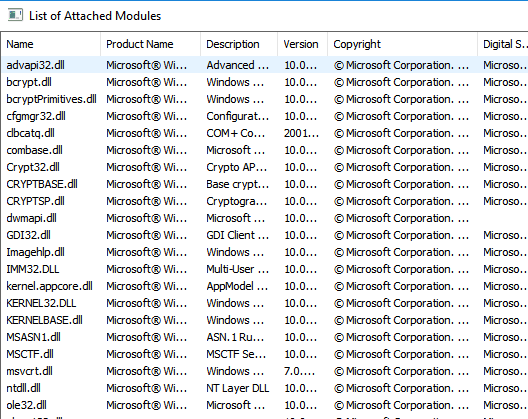 A new window will open where you can see Microsoft signed modules and other modules. 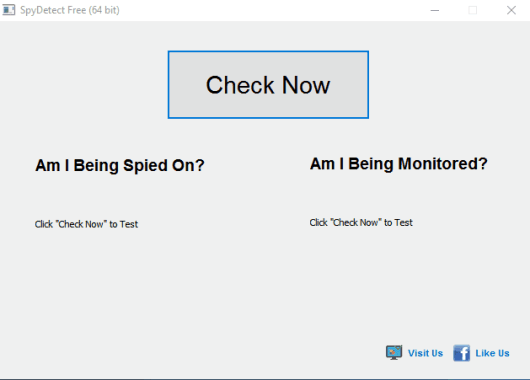 This is not a fool proof solution to check if you have some spying or monitoring process on your PC. However, the software at least gives you a hint or basic idea that yes you are probably safe. It can be given a try.